Cleo didn't draw the usual ooohs and awwws from visitors to a Canadian pet store earlier this year. In fact, the Abyssinian kitten drew something closer to a collective gasp. 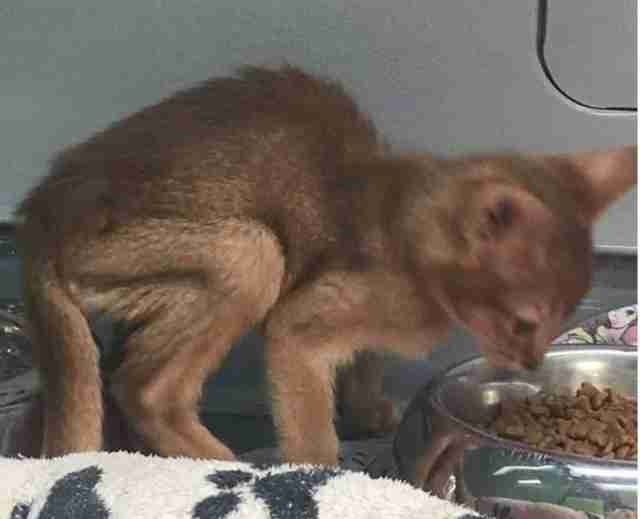 Last January, photographs of a gaunt, sickly kitten in the window of a PJ's Pet Store in Brampton, Ontario, surfaced online. Cleo was seen cowering behind a glass display, bullied by the other kittens. And although that kitten seemingly suffered in silence, social media took up her roar. 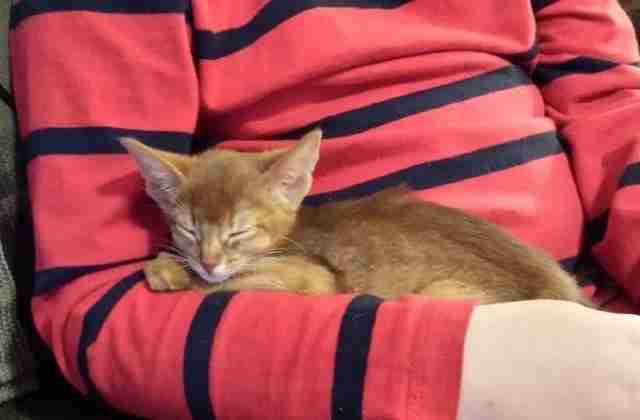 The pet retailer was sharply criticized with an online petition garnering nearly 90,000 signatures demanding an end to all cat sales at the chain. So when PJ's Pets & Pets Unlimited announced earlier this week it would be shuttering its 27 stores across the country, it's hard not to imagine a tiny, weak kitten named Cleo may have had her day at last. The chain has already begun sharply marking down its merchandise at all of its stores in advance of the closures. "We are saddened to say that we are closing our doors after almost 50 years of serving the pet community across Canada," said Brad Hamilton, vice president of PJ's Pets, in a news release. While the company offered no reason for its decision, the aftershocks of Cleo-gate are all too readily apparent. Braydon Dennee first photographed Cleo when he happened upon her during a trip to the mall. "You could see every single bone in her body," Denee told The Dodo in January. In addition, he said, the kitten appeared listless in her enclosure. "She wasn't fighting back," Denee said. "She was just getting beat up by this other kitten." 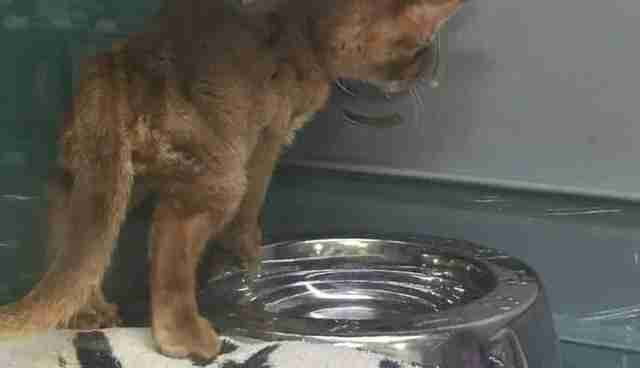 But Amy Young, a representative for the store, painted a different picture of the kitten, who appeared under a $1,300 price tag. Cleo, she told The Dodo in January, had been stolen from the pet store and only recently recovered. "She has lost weight, but that was due to the stress of the situation," Young said. 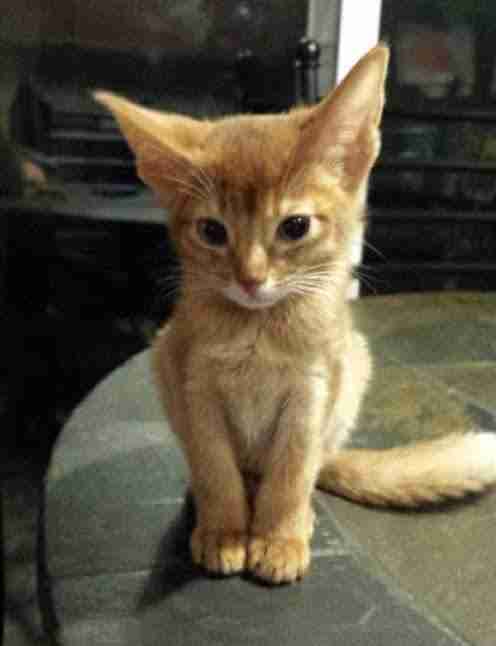 "This kitten is an Abyssinian which is a naturally lean breed of cat. She was given a clean bill of health. She is given wet and dry food daily. She is eating very well and is very playful." We don't know what became of Cleo. Amid the controversy, PJ's pulled her from the store display with Young telling The Dodo, "She is at home while she gains weight and will likely end up staying with the home that is looking after her now. She is not for sale." But PJ's woes may have begun before Cleo. In 2011, the chain stopped selling puppies in its stores amid a storm of public criticism. The company opted to promote dogs from animal shelters instead. "It's a new era for PJ's," Stacey Halliday, director of marketing, told The Toronto Star at the time. "It's been part of our business for 40 years." It was a noble gesture, but a costly one. PJ's admitted to the newspaper that puppy sales accounted for around 7 percent of its revenues. Cleo may have only added to the chain's woes. "There are so many rescue animals in need of a home and hopefully people turn to rescues for their animals," Michelle Victoria, who runs the animal welfare group All Paws Rescue, tells The Dodo. If you're ready for a four-legged best friend, consider adopting a shelter animal through Adopt-a-Pet.com.